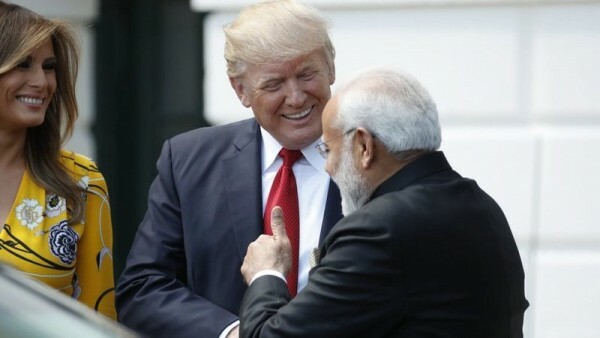 Against the background of intense speculation about US President Donald Trumps growing indifference to India’s security needs and the landmark India-US Nuclear Cooperation Agreement came the dramatic announcement of the "Tier 1 waiver" for India. This exception from the export control regime will allow the US to export sensitive technology to India without individual licences or approval from Congress, where anti-India interest groups used to hold them up through filibusters. The waiver is historic and marks a new stage in the India-US strategic partnership. No other country in the region has ever been granted such a waiver, normally allowed only for the US’s NATO partners or key allies like Japan and South Korea. Only 36 nations currently have this status. It also brings India one step closer to full NSG membership, a goal so tantalizingly close and yet denied because of Chinese intransigence and insistence on linking it with Pakistan’s membership. Commonly referred to as Tier-1 of the US Department of Commerce’s Strategic Trade Authorisation licence exception, the waiver will not only ensure a much required high-tech upgrade for India’s lagging defence industry but will also promote the ‘Make in India’ initiative. It will bring US defence companies for the first time into India. The competition with other foreign companies already in India, including from France and Russia, will eventually translate into a win-win situation for the country. US Commerce Secretary Wilbur Ross described it as a “very important change” in India’s status, noting that “US companies will be able to more efficiently export a much wider range of products to Indian high technology and military customers. India’s new status will benefit US manufacturers while continuing to protect our national security”. Also, he added that “it finally reflects India’s status as a major defence partner of the US”. Ross said this new designation reflects India’s membership in three of the four multilateral export control regimes, as well the development of its national export control system. He asserted that US companies will be able to more efficiently export a much wider range of products to Indian high technology and military customers. He said India’s new status will benefit US manufacturers while continuing to protect its national security. Speaking at a panel discussion of the first Indo-Pacific Business Forum organised by the US Chambers of Commerce, Indian Ambassador Navtej Sarna highlighted that the Trump administration’s decision acknowledges the security as well as economic relationship between the world’s two largest democracies and boosts their defence partnership in a big way. “It is a sign of trust not only in the relationship but also in India’s capabilities as a valued economic and as security partner. It presupposes that India has the multilateral export control regime in place, which would allow the transfer of more sensitive defence technologies and dual-use technologies to India and without the risk of any proliferation,” Sarna noted. India is a member of three of the four international export control regimes including the Australia Group, the Wassenaar Arrangement and the Missile Technology Control Regime (MTCR). These developments, along with the civil nuclear cooperation agreement with US, have also strengthened India’s case for permanent membership of the UN Security Council. NSG membership is now vital for India since this group controls export and import of high-grade nuclear related technology. India has been repeatedly checkmated by the Chinese veto, cleverly disguised in the plea of equating India and Pakistan’s pending membership applications.